The Chinese practice of acupuncture has a cure for every disorder from depression to infertility. Acupuncture for infertility is not a new treatment. Women and men have been using it for ages. Acupuncture for infertility involves the use of fine needles that are inserted at specific pressure points. The acupuncture points for infertility balances the energy flowing. It corrects circulation and can even cure PCOS. There are many other things that you need to consider before trying acupuncture. Each session of acupuncture for infertility treatment cost can be a pocket buster. Similarly, if the cause of infertility requires surgery, then acupuncture won’t help much. When you have unexplained infertility, then you can try acupuncture. When to get acupuncture for Infertility? How many acupuncture sessions are needed to get pregnant? Acupuncture for fertility: Where do the needles go? 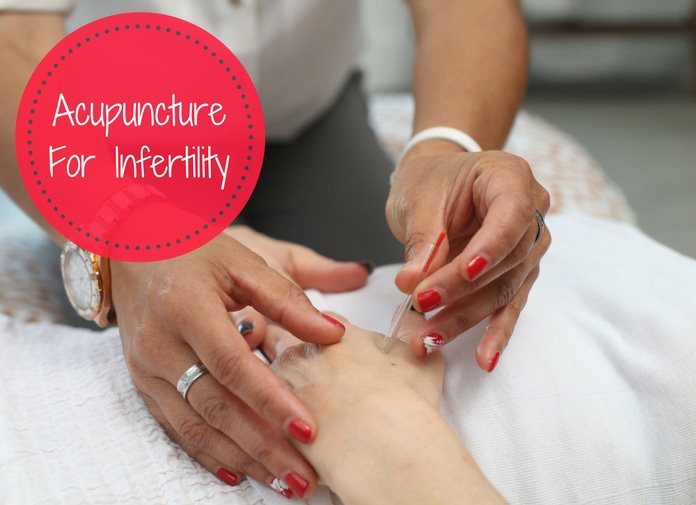 Do acupuncture for infertility needles hurt? Can acupuncture for fertility help? How much does acupuncture treatment for acupuncture cost? What are the risks of acupuncture for fertility? What happens during acupuncture session? Is acupuncture recognized and recommended by medical professionals? Acupuncture may help unless the cause of infertility is visible such as Endometriosis. Women with an irregular period or inability to hold the fetus in the womb are the ones who may experience benefits. The pros of acupuncture for infertility are that it is a natural methodology and painless. In sporadic case, the pricking needles can hurt you. When you take herbs along with acupuncture, combined action increases the success rate. But a new acupuncturist can make the situation worse. An acupuncturist has to locate the energy points of the particular person during acupuncture. The blood flows towards the affected area and corrects the problem. Enough blood reaches the thin endometrial lining making it thicker and long-term. Herbs can have allergic reactions and be antagonists. So it is important that you first take a trial of each herb individually. You will have to trust whatever your expert says at times. So it is essential that you find out the best in the field in your area. You must remember that like every therapy acupuncture has some limitations. You need to opt for conventional therapies such as IVF or artificial insemination along with acupuncture. The success of IVF is not absolute, and acupuncture will reduce the chance of failure. If you are keen on getting pregnant fast with infertility, then take acupuncture before and after embryo transfer. Some studies reveal that women who took both conventional and acupuncture treatment had a higher success rate. The more you do, the better are the results of the practice. Acupuncture for fertility how often cannot be uniform for all. The first trimester is most risky and has the highest chance of miscarriage. Once a woman crosses this period her risk of miscarriage drop drastically. Fertility acupuncture needs to continue for the first three months of pregnancy. The frequency of acupuncture sessions will reduce as time passes. Acupuncture and fertility are not merely as medicine for infection. It is more like a supportive therapy. There are several risks of acupuncture for fertility that need consideration too. When you are pregnant, the acupuncture points in the abdominal area contraindicate. Your abdominal area including acupuncture points as Spleen 6, Bladder 60 and 67, stomach 12 become sensitive. That means that any acupuncture needle going in those points can lead to miscarriage. Thus, the acupuncture fertility points of gallbladder 21, large intestine 4 and stomach 12 are also not safe after pregnancy. Your therapy has to start from few weeks before conception and continue for the nearly same time after it. The skill and experience of an acupuncturist for infertility are primary factors that will determine the outcome of the treatment. Acupuncture points for infertility are all throughout the body. The fertility points for acupuncture are present inside and outside your body. On an average, during a session, you will have 15 needles inserted. The feeling is painless and sometimes slightly pricking. It depends on your pain threshold. As the energy distribution across the meridians becomes normal the pain will subside. Good practitioners use sterile one-time acupuncture needles. Some severe cases may need to get a mild current pass through the needles. It will not feel like a shock or even current at all. The traditional Chinese explanation for the success of acupuncture for infertility is correcting disharmony. Energy flow inside the body is along the meridians. They are imaginary lines to divide the energy flow pattern in the body. When there is is disharmony inside the body energy escapes the meridians and scatters. Acupuncture restores the energy flow through meridians. Though there is not much research to back acupuncture, some explanation exists. According to latest studies, it is the secretion of painkillers namely beta-endorphins that helps. When a needle pricks a point in your body, pain-relieving chemicals are released. Other than that it also leads to chemical reactions at the point to help cure the disorder. There are many reasons for infertility such as tube defects, anovulation, and disorders. Acupuncture is ideal for patients with unexplained infertility. Acupuncture cannot help in cases of the physical barrier infertility. Similarly, PCOS, Endometriosis, and polyps require treatment before supportive therapy. Spasms and incorrect blood flow are the main areas where acupuncture helps. Women with problems in the menstrual cycle such as high hormonal level or thin endometrial lining can try it. Thyroid imbalance can also cause infertility in women. Acupuncture can correct both hyperthyroidism and hypothyroidism. Not only for women but there is acupuncture therapy for infertility in men. A good acupuncturist needs few consultation sessions before starting the treatment. During this stage, she would ask you about your general health and check pulse rate. This will help her understand the cause of the imbalance of energy in your body. Compared to any other infertility treatment acupuncture is less expensive. The first few sessions can take as much as 100$, and subsequent ones will reduce to half of it or about 80$. There are not any risks for acupuncture other than getting it done wrong. If your acupuncturist does not know where and how to do acupuncture, then it has adverse effects. Inexperienced acupuncture treatment can frustrate you further and elevate stress. Not only the frustration but the pricking can hurt and cause some irritation and itching. Similarly, use of common needles even when only slightly pricked can lead to many diseases. While acupuncture itself has negligible risks a poor, an acupuncturist can be harmful. Experts recommend that you must get infertility acupuncture for six months. That will include the three months before and three months after IVF. Before the fertility treatment commences, acupuncture will balance the hormones and correct ovulation problems. Once the embryo transfer occurs the sustainability of pregnancy is the target of acupuncture. After three months of conception, the pregnancy has a very low risk of undergoing miscarriage. Your partner will only get acupuncture before you get pregnant. After that, it will just be you going to the sessions. There have been reports where women conceive after acupuncture treatment after conventional fertility therapies failed. Your therapist will discuss your medical history and also ask you about your menstrual cycle. They may inquire about your partner’s reproductive status too. After the consultation, the acupuncturist will figure out the number of sessions needed and supportive therapies. You will have to make some diet and lifestyle changes. During each coming session, you will lie inside a comfortable room with scent sticks if they please you. Some of your clothing has to go off. Clean, sterile needles will go at specific points inside and over your body. Whether or not you can opt to eliminate some points will either be at your own risk or not allowed. You will feel a sense of calmness take over you. One can sleep or close eyes and lie down during a session. If you are with an expert trained well none of the prickings will wake you. There is ambiguity regarding the evidence to support success is acupuncture. Some doctors don’t regard it as a way to cure infertility. Others may accept it only to the extent of being a calming and mind-body connection procedure. Naysayers consider nothing more than other massage therapies. Just like the relaxation during yoga, stretching and massage acupuncture calms down nerves. And the needles only make you aware and sensitize the particular area. The success rates point out towards its effectiveness whether or not proven. The acupuncturists are registered and licensed in some countries, and it is not voodoo or magic.